Where the hell does she live that it gets to 40 below and 120 in the summer??? Sudbury On. Maybe only 110 but -45 when it's frigid!!! Battery went dead in my sister's 2010 Toyota Rav 4. Here in Florida, finding a battery is easy, all you do is get one rated for a warmer climate. She lives in a part of the country that commonly sees 40 below in the winter, and 120 degrees in the summer. I hear Costco Kirkland is a good battery, and Auto Zone's duralast platinum is also good, but can they handle such extremes of hot & cold? I would be very disappointed if a battery of mine conked out on a 3 year old vehicle ! What a lot of people won't tell you is that there's only about two companies in the US that make car batteries. Buy something with the best warranty and highest CCA. Forget about Optima they're pretty much junk. One of the worst things you can do is try to pull a bunch of current out of a battery (with cold start at -40F) when it's not fully charged. I had a Ford Pickup with the 7.3L Powerstroke which holds 14 quarts of oil, which is a lot to get going when it's below zero. In other words, that engine puts a real beating on batteries (there are two), so I installed an underhood battery tender and plugged it in every night. It float charges the batteries very slowly over a long period of time. That maintenance charge can prolong the life of a battery quite a bit. Average life for batteries in a 7.3L is 3-4 years. Mine lasted 6 years. Contrary to popular thinking there is not a outlet behind every current bush in the north-land. Good batteries is key along with using the right weight oil up north. We see those cold temps but it never has reached 120*F+, 100*f, yes. optoma batteries are over priced and they may not last as long as a wet battery. Most batts are made by Johnson controls. A rule of thumb , get the biggest (most CCA) batt that will fit in your battery tray. batts don't last forever and they don't last as long in extreme conditions. Find one with a good warranty at a decent price. Good points. I would add that in extreme temperature conditions a synthetic oil will help with cold starting. With modern FI and the ignition systems anymore cold starting is easier than it was back in the bad old days. That said reasonably fresh spark plugs will help. If you have mains power available to the car, a block heater would give considerable benefits in easier starting, lower drain on the battery, lower engine wear, and the heat/defrost will start to work sooner. Another vote for an Optima or similar battery. Exide makes a gel-type battery. 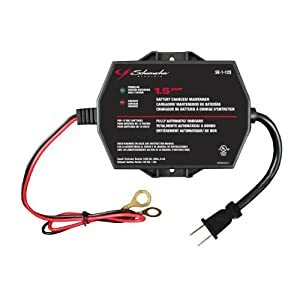 As snofarmer points out, size matters, a physically bigger battery with the sam CCA rating is in my experience stronger than a smaller battery. Checkout Sears Diehard 850 CCA (Johnson Industries) and has a good warranty. It's Rapid City, South Dakota that we're talking about. 3 years is about all you're going to get out of any battery in such an extreme climate. It was 750 cca & a 120 min reserve capacity, plus is an AGM battery produced by Johnson Controls. I considered Optima at first, they were the best battery about 5-10 yrs. ago, but now I hear they're awful. In extreme temperatures, hot or cold, reduce the battery's life. In the interior of Alaska does get far below -40 degrees sometimes, but we use a battery warmer (115 VAC 25 to 35-Watt blanket or pad) in our automobiles. The average life span of a battery over here is from three to four years.